PORTLAND, OR—Interrupting the only moment of genuine peace the man had known in several decades, a team of paramedics reportedly resuscitated area resident Alan Taborsky this morning following an apparent cardiac arrest. 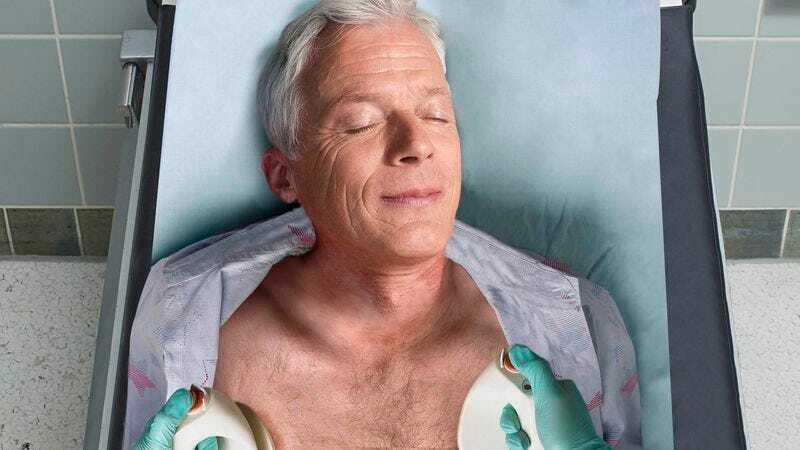 Reports indicated that just as Taborsky had reached a state of complete relaxation in which he felt unburdened by his life’s troubles for the first time in recent memory, medical technicians wrenched him back into consciousness with a pair of defibrillator pads. By reviving the 62-year-old, emergency personnel reportedly denied Taborsky the deepest sense of contentment of his life, cutting short a soothing and profound state of calm after what sources confirmed was only a few blissful seconds. At press time, a paramedic had informed Taborsky that he was lucky to be alive.